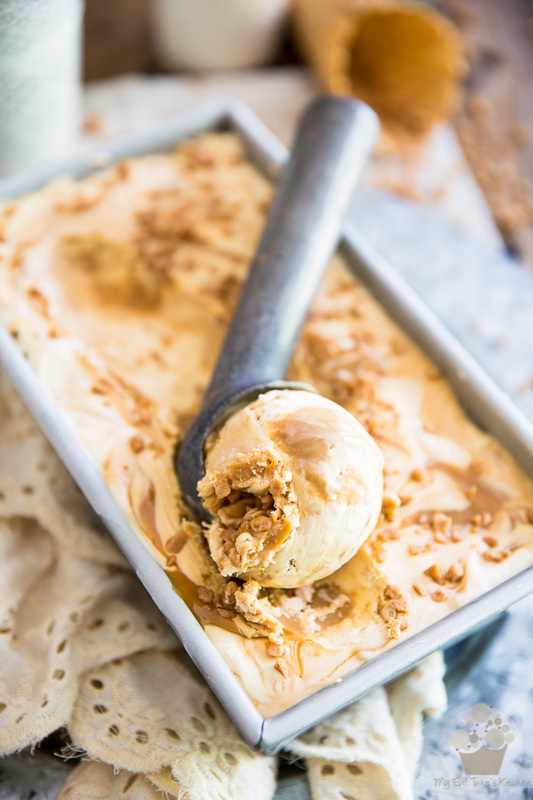 This No Churn Dulce de Leche Ice Cream is insanely rich and creamy, and loaded with delicious swirls of sweet caramel and crunchy toffee bits. Heavenly! 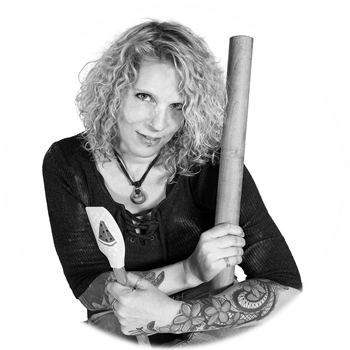 It’s official: I’ll never use my ice cream churner EVER again. I’ve even put it in the pile of stuff that I need to give away. 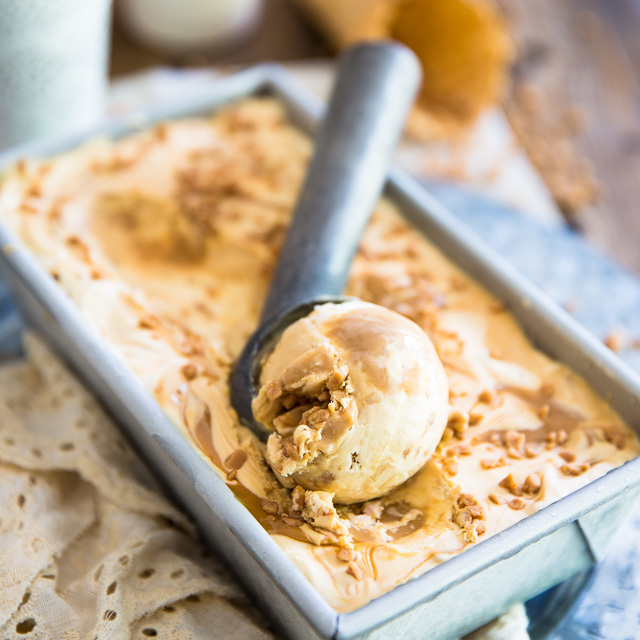 This No Churn Ice Cream wizardry truly is the real deal. I you haven’t jumped on the bandwagon yet, you totally have to! 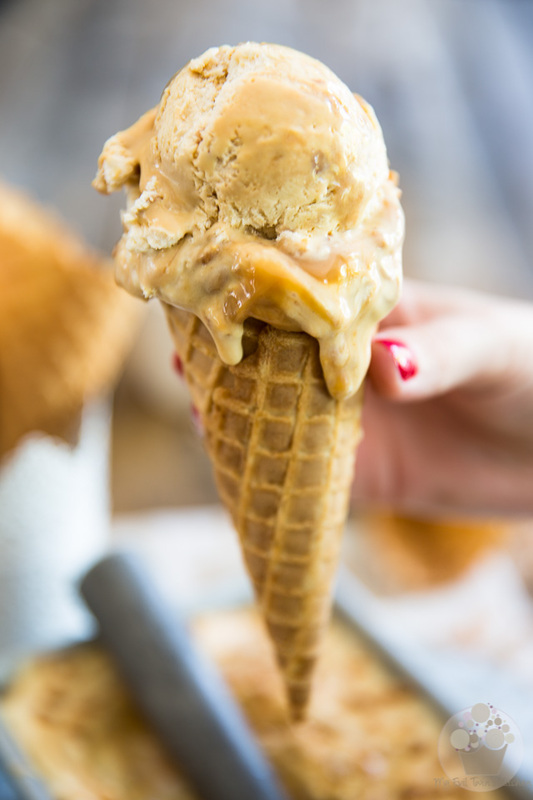 I’d already been pretty impressed with it after I made a very simple No Churn White Chocolate Ice Cream center for my Giant Funfetti Ice Cream Sandwich, but this batch of No Churn Dulce de Leche Ice Cream that I recently made totally, completely and permanently sealed the deal for me. I am now officially, and forever will be, a fan. This was by far THE BEST ice cream that I’ve ever eaten in my entire life. This stuff is insanely RICH and creamy, and smooth and oh so decadent. 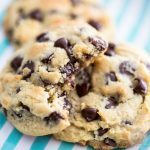 The texture is just how I like it, too: really nice and firm, but still highly scoopable, and melts pretty much the second it hits your tongue. 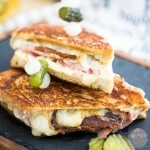 As for its flavor, the words to describe it haven’t even been invented, yet. In reality, I don’t think that this stuff was meant to be consumed by us, mere mortals. It honestly belongs in heaven, somewhere, and was initially invented for gods and angels. 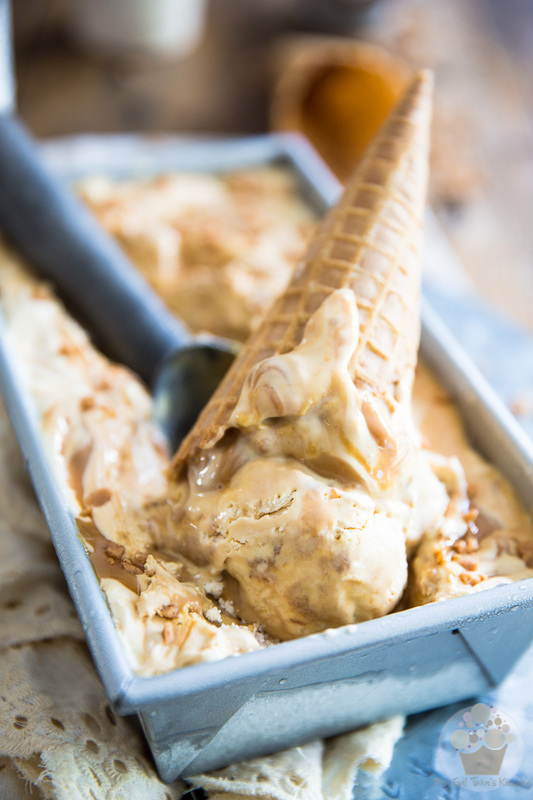 Plus, unlike most commercial ice creams that have you dig and almost send a proper search and rescue party in order to find the good bits that are *supposed* to be mixed into their ice cream, this one is totally OVERLOADED with the most delicious swirls of sweet caramel and little bits of crunchy toffee. 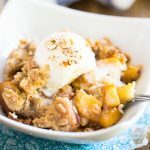 You most definitely get a very generous dose with every spoonful! 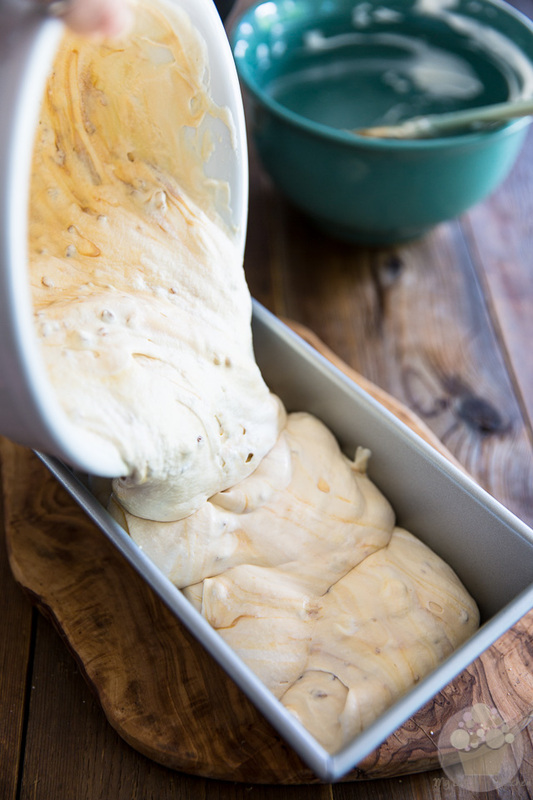 I just can’t get over how simple and easy the process of making no churn ice cream really is, and especially how incredibly satisfying the results actually are. 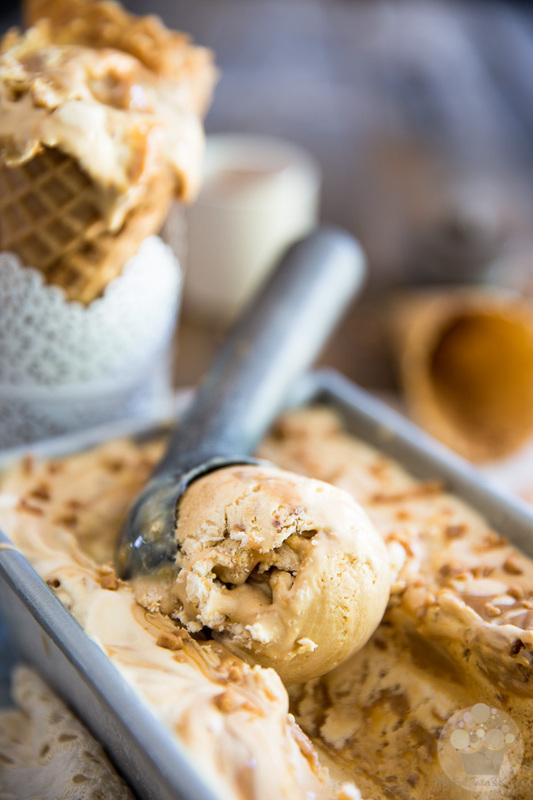 Granted, no churn ice cream is extremely RICH; a little goes A VERY LONG WAY. I don’t think I need to specify, but just in case… You can forget about double and triple scoops with this stuff. But I can honestly say that a single scoop will leave you MORE than amply satisfied, especially if you’re going to enjoy it my favorite way of all: in a waffle cone. 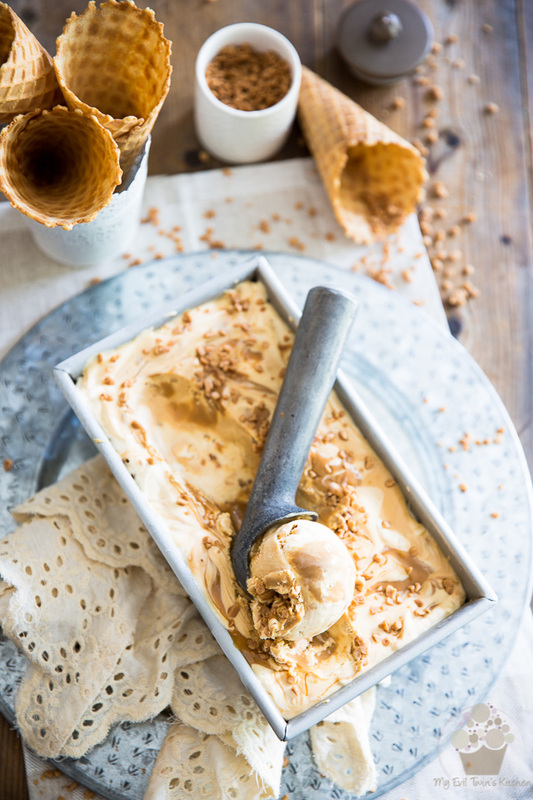 Would you forgive me if I posted nothing but No Churn Ice Cream recipes for the next year or so? 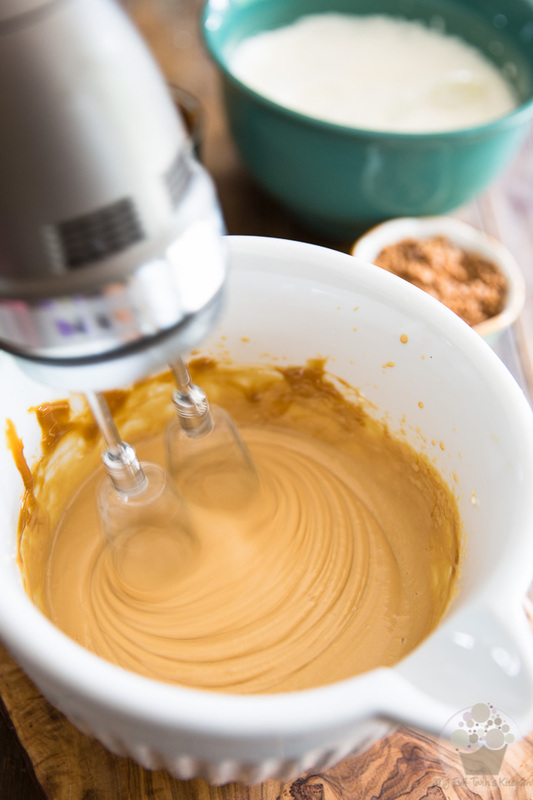 With an electric mixer set to medium-high speed, whip 2 cups of heavy cream to soft peaks and reserve. 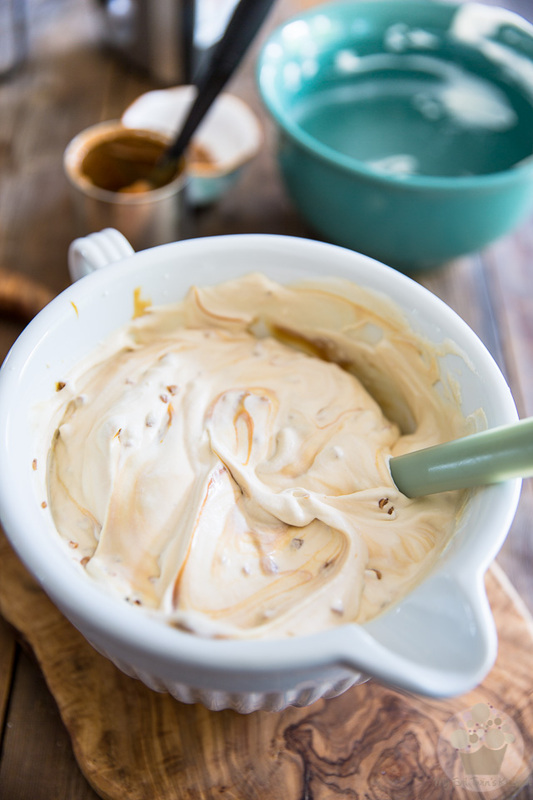 In a separate bowl, combine 1 can of Dulce de Leche, 2/3 of a package of cream cheese, 1 tsp vanilla extract and a generous pinch of salt in a large mixing bowl. Beat with that same electric mixer until well combined. Now very delicately fold in the whipped cream with a rubber spatula; mix until barely just combined. 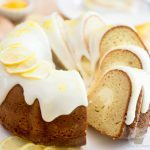 Be really gentle here, you don’t want to go losing any of the precious air that you incorporated into the cream! Now you don’t absolutely HAVE to throw those toffee bits in, but if you can get your hands on them (I get mine at Bulk Barn), I strongly suggest that you do. 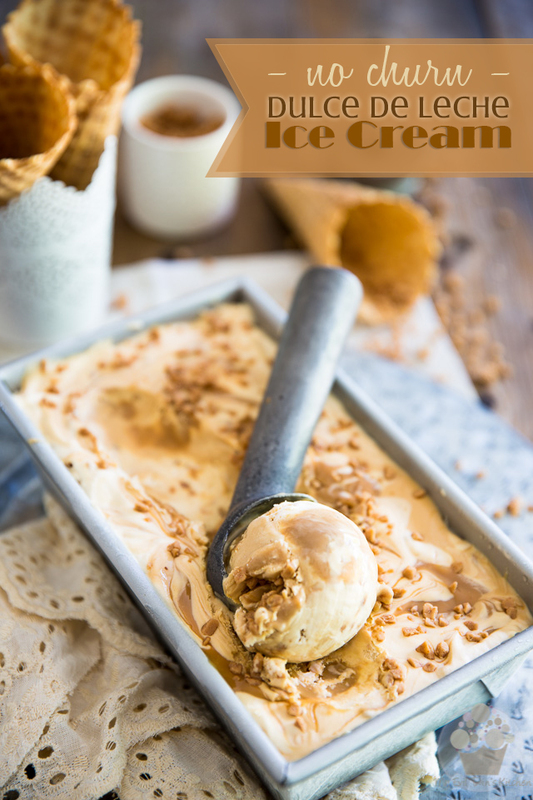 They add such a pleasant little crunch to the ice cream, as well as an interesting extra layer of flavor. I can’t recommend them enough! 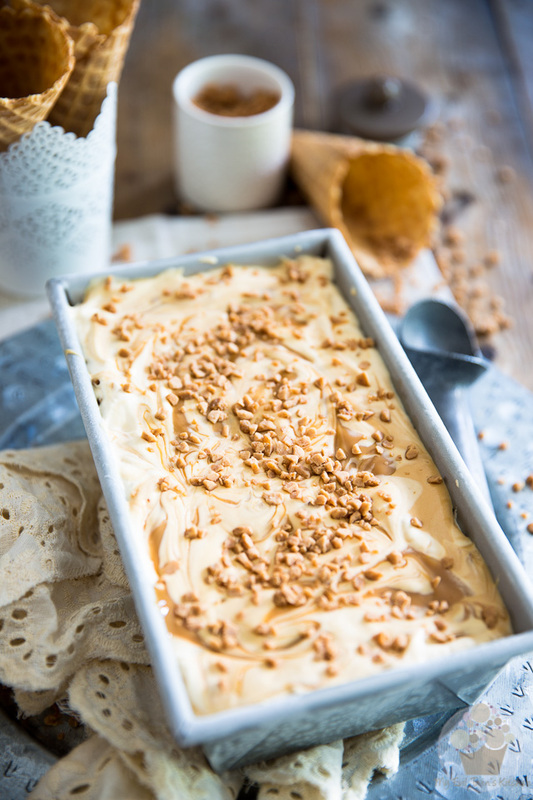 With a rubber spatula, gently fold in the dollops of Dulce de Leche and toffee bits, without completely incorporating the Dulce de Leche inside the cream. Make sure that you leave plenty of visible streaks. 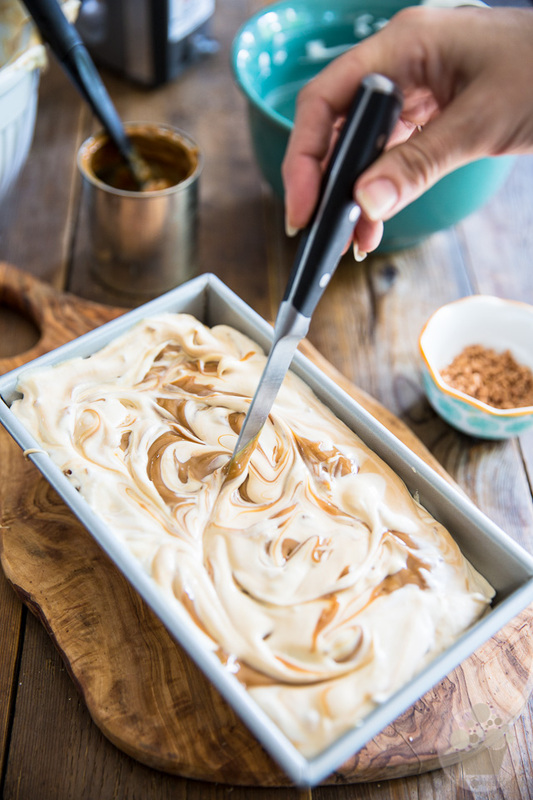 Spread the ice cream mixture evenly all the way to the edge and then drop the remaining Dulce de Leche by the spoonful across the top. 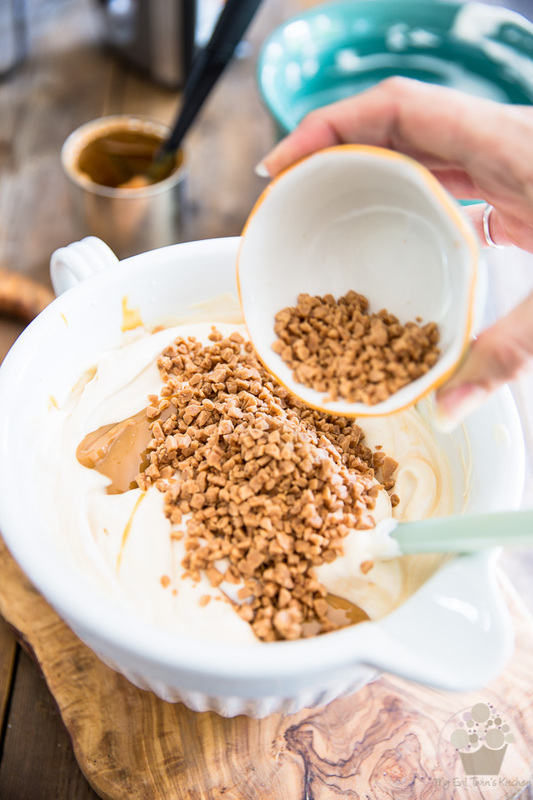 … and sprinkle with the rest of the toffee bits. Cover and place in the freezer for at least 6 hours, or preferably overnight, to set completely. I know an entire day is a long time to wait, but trust me, your patience will be rewarded. 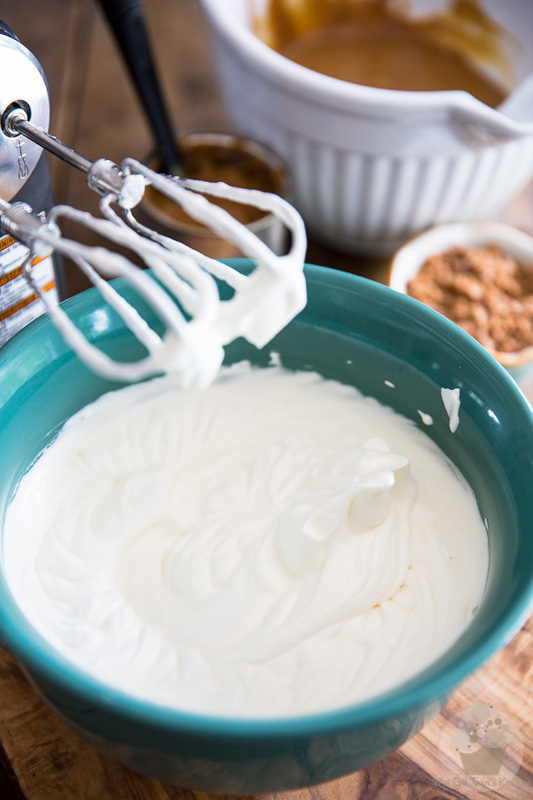 With an electric mixer set to medium-high speed, whip the heavy cream to soft peaks and reserve. 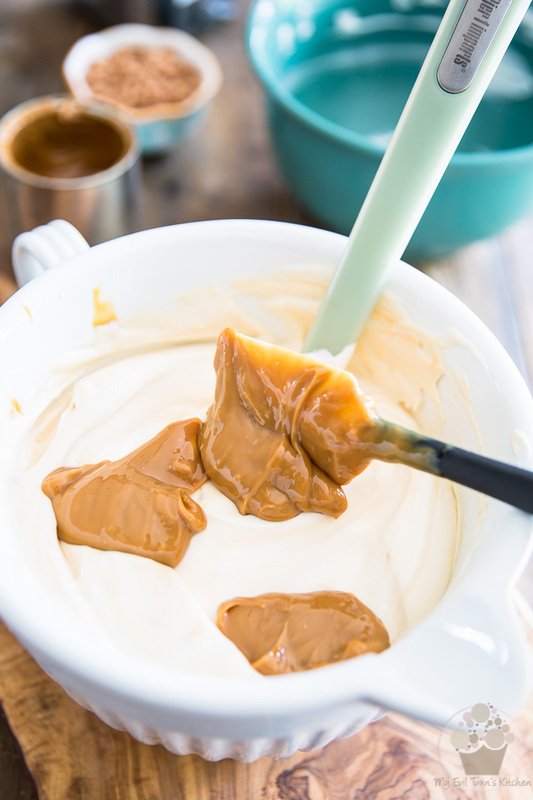 In a separate bowl, combine 1 can Dulce de Leche, cream cheese, vanilla extract and salt in a large mixing bowl and beat with that same electric mixer until well combined. 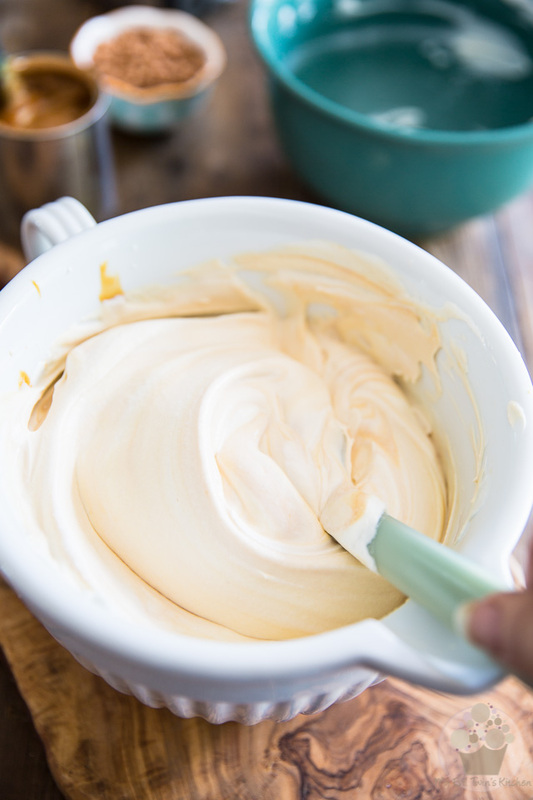 Very delicately fold in the whipped cream with a rubber spatula, mix until barely just combined. 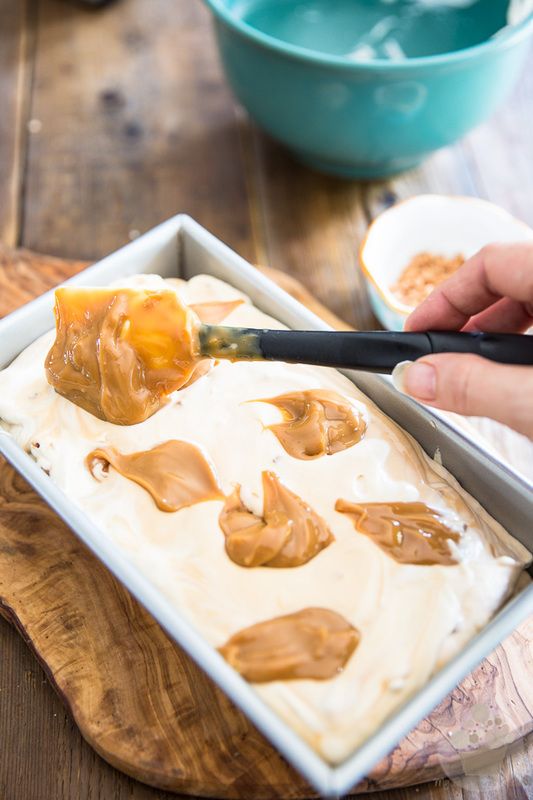 Transfer the mixture to a 9" x 5" loaf pan or similar container; spread evenly all the way to the edge and then drop the remaining Dulce de Leche by the spoonful across the top of the ice cream. 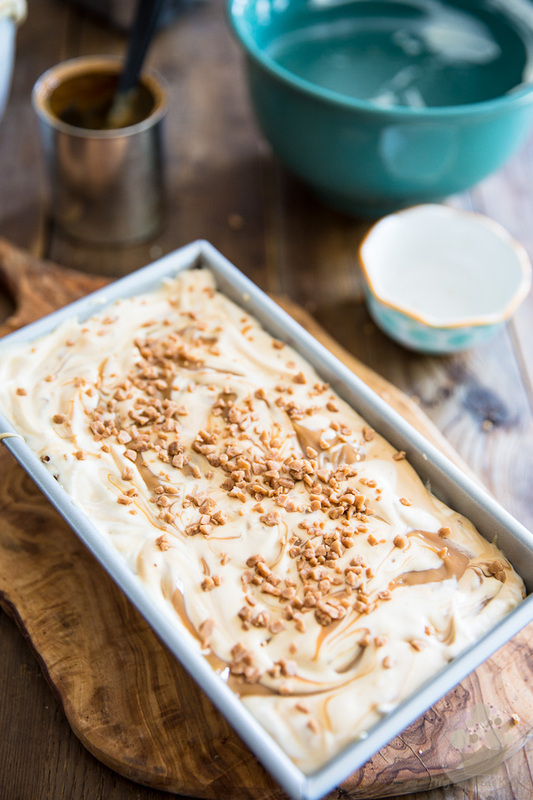 Swirl delicately with the tip of a knife, and then sprinkle with the rest of the toffee bits. Don’t even bother with an ice cream maker, Jordan. No churn totally is the way to go! And now it’s my turn to like the way you think. I love the sound of those ice cream sandwiches!